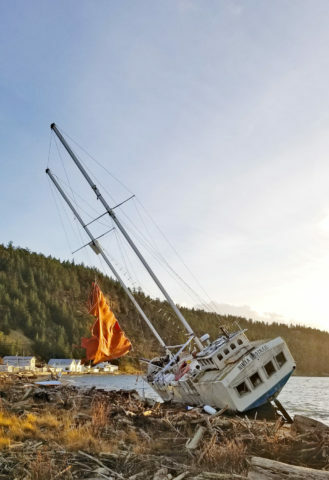 On December 20, the 80 foot long, 63 ton schooner Nina Otaki ran aground in Discovery Bay on Beckett Point, Washington. The schooner had been at anchor when it was blown ashore by strong winds and driven up onto the rocky beach. No reports of injuries. The Coast Guard responded and dispatched a team to remove fuel off the vessel. 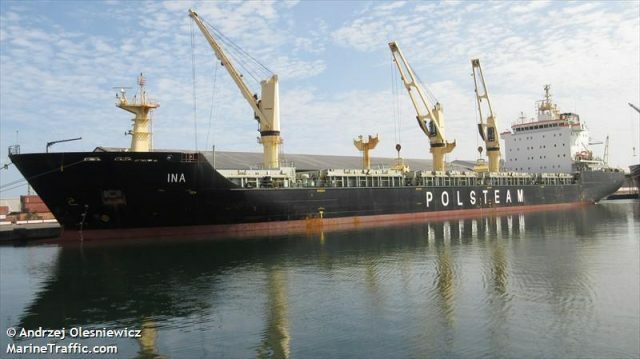 Reports state the vessel was still aground several days after the incident. The Nina Otaki had run aground before off Point Wilson Lighthouse in 2017. The vessel remained on the beach for several days before it was refloated. The vessel is unique as it’s hull is made of iron-reinforced concrete. The schooner remains aground on the beach. Reports state there is some uncertainty if the Nina Otaki will be pulled off the beach or not. The current owner has not arranged salvage. The vessel may be removed off the beach by order of the Washington DNR. 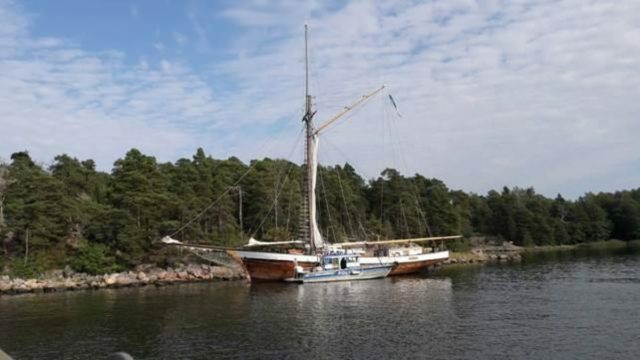 The 23 meter long schooner Alexandra went aground near the west side of Sandhamn near Helsinki, Finland. The sailing vessel was passing through Kungs Sound when it suffered water ingress. 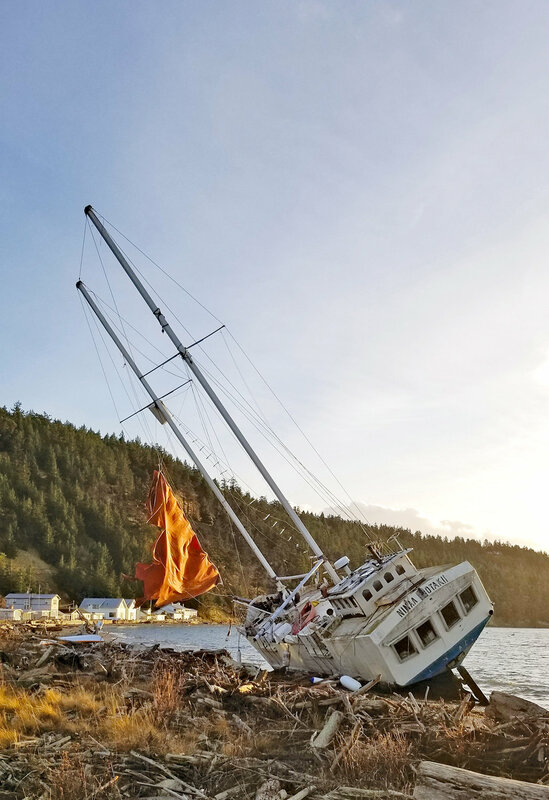 Unable to control the flooding, the crew decided to run the Alexandra aground in shallow water to avoid it possibly sinking. Authorities were alerted and arrived on scene quickly. Pumps were placed on board the schooner and were able to dewater the vessel. Rescue vessel took the Alexandra under tow and proceeded to Skatudden for repairs. No reports of injuries of the four crew on board. 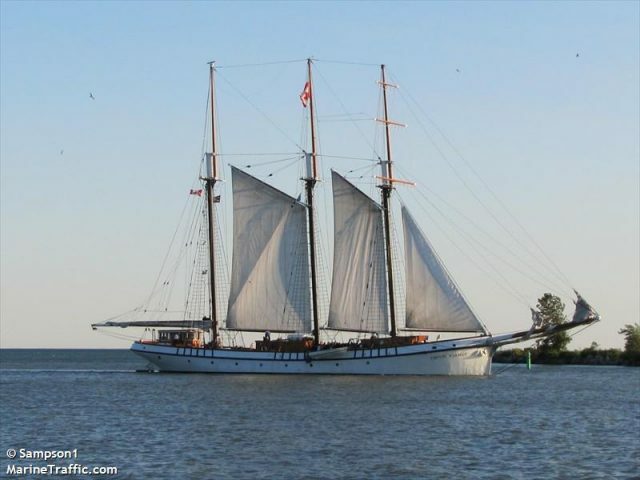 On August 5, the 43 meter long, 338 gt schooner Empire Sandy collided with the 150 meter long, 16622 dwt bulk carrier Ina in Lock 8 of the Welland Canal near Port Colborne, Ontario. The Empire Sandy had entered the canal after strong winds had diverted it from a scheduled cruise on Lake Erie. While in the Lock 8, the Empire Sandy struck the lock wall before running into the stern of the Ina. The Ina was undamaged and there were no reports of injuries. The Ina proceeded on its voyage while the Empire Sandy was inspected for damage. Reports later state the schooner sustained no damage.